Last week I received an email from a friend about the flying on the last B747, and a heartfelt message about one of my books. I appreciate emails that can be used for blog posts especially with studying. And, they mailed me a copy of the Hemispheres magazine too! 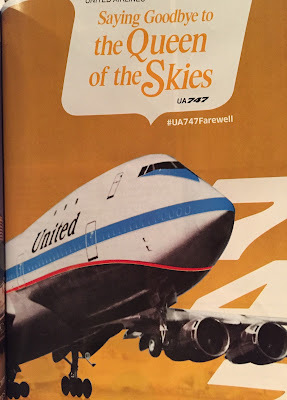 "Jane and I read the article that quoted you in Hemispheres Magazine on a UA flight today. We ❤️ loved what you said and was said about the 747 and it's history. 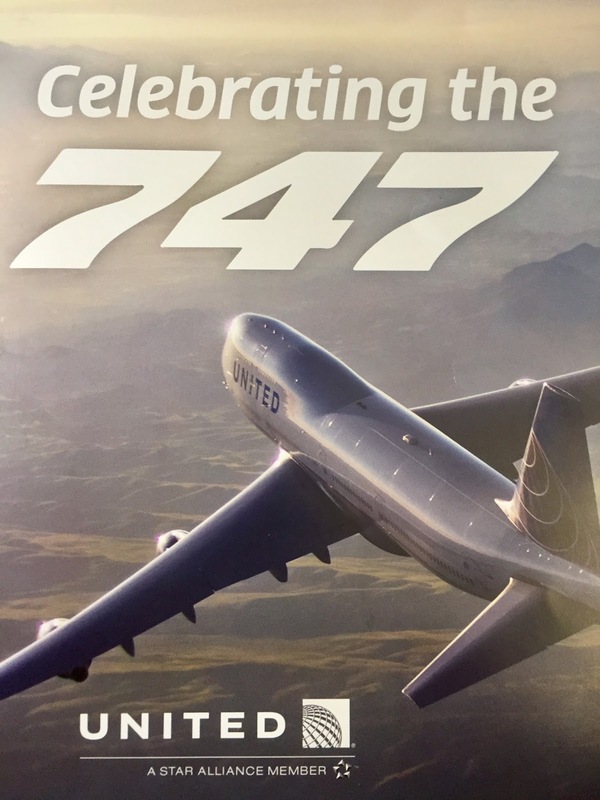 I flew on the 747 many times as a passenger. On one flight where my Dad was the Captain and I was a teenager, I listened to Glen Campbell on the headphones while in First Class traveling from Dallas to London on the upper deck. Today, I rode the 767 from LHR to ORD and that same Glen Campbell song was on the movie "Guardians of The Galaxy". It was quite nostalgic for me. Going to London and then Scotland for a family reunion last week, Daniel, Jane and I all rode on one of the last UA 747 flights from SFO to LHR. Our daughter, Elisa and boyfriend, Max also took the last 747 flight back from London to SFO. We all loved the 747 and were so lucky to experience it's majesty one last time before the history book closed. I am also reading and loving your "Flight To Success" book. You are so right about everything you are saying in this book! I very much agree with your thoughts as it resonates in many ways with my personal life and what I tell others." Queen of the Sky Video! The 74 is such a bad a** woman that she took a direct shot from a Cherokee 140 at 42,000 feet and kept on flying. When the DC-10 questioned her story, she pulled a Sully before there was a Sully and landed in the ocean and sank to the bottom while keeping her hull pressurized saving the lives of her passengers. They will never make anything like her again. I would have loved to driver her around the sky. I ain't "Driving Mrs. Daisy" aka Karlene around. I want to be in the back having drinks with umbrella's in them.